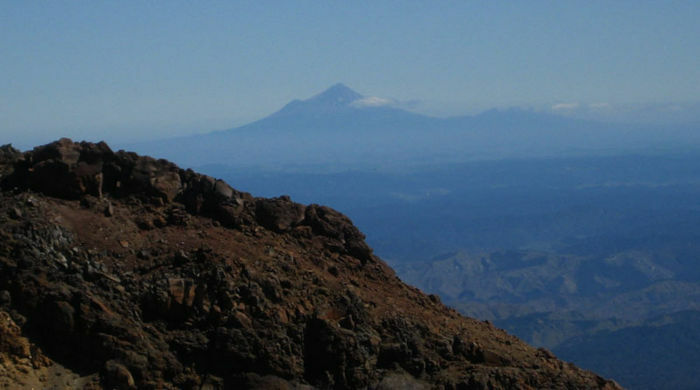 The location of Mt Taranaki, away from the North Island’s other volcanoes, is beautifully explained in Maori mythology. According to the myth, Taranaki once lived near the other central North Island mountains, including Tongariro, and his beautiful wife, Pihanga. Taranaki fell in love with Pihanga, and a ferocious battle between Taranaki and Tongariro ensued. Taranaki was forced to flee to the west coast, and the myriad of streams now flowing from Taranaki are said to represent tears for his lost love. 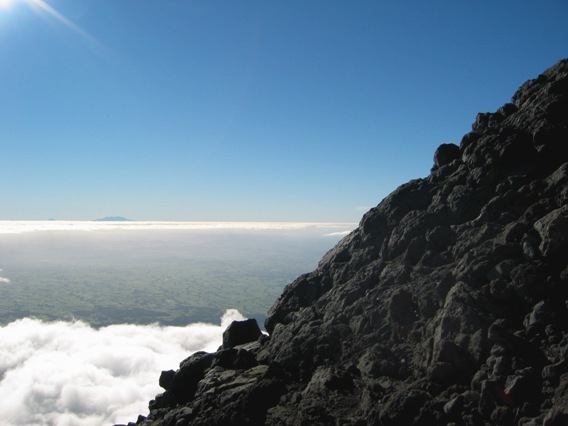 Taranaki is challenging day tramp, but as the North Island’s second highest peak, it is a must on any New Zealand peak bagging list. To get to the Stratford Plateau from Stratford, turn on to Pembroke Rd and continue all the way the carpark at Stratford Plateau. There is no public bus service, but Eastern-taranaki.co.nz offers a shuttle service. A summer day tramp to the summit Taranaki makes for long and strenous day, and in winter it is a full on mountaineering expedition. There are two main routes to Mt Taranaki’s summit – one starts from the North Egmont Visitors centre, and one from the Stratford Plateau. While the North Egmont Visitor Centre is shorter, the track from the Stratford Plateau starts at a higher altitude. Personally, we’d choose less climbing over less distance, but the option is yours! From the Stratford Plateau, the track sidles around a gorge, before crossing over and arriving at the Mangonui Ski Lodge. You will then pass the rocky crags of Warwick Castle, before arriving at Tahurangi Lodge about 2 hours hours after leaving the carpark. After leaving the lodge, you will encounter the first of many steps up the mountain. Enjoy them while they last though, as once past the stairs you’ll have some steep scoria to contend with. In mist this section may present some navigational challenges, so be prepared with a topographical map and compass. As you near the summit, head for the gap to the right of the ‘Sharks Tooth’. From here there is a final scramble to the summit. 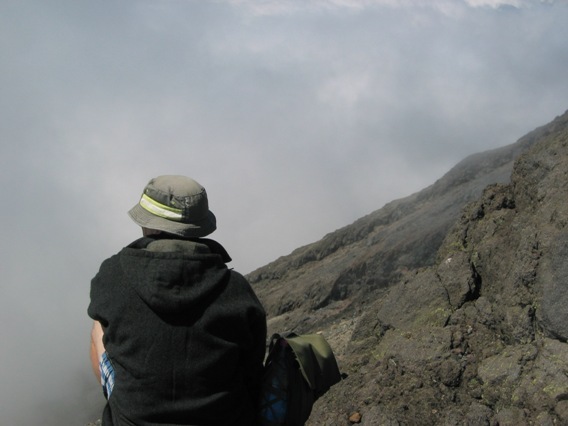 Now all that remains is to enjoy the fact that you’ve climbed the second highest mountain in the North Island. Oh, and the not insignificant matter of returning the way you came. The scree run can be fun, but in icy conditions can also be dangerous. Be sure to maintain your concentration and remember that slow and steady wins the race. Walking poles can be useful on a descent like this, and your knees may be grateful for the assistance. 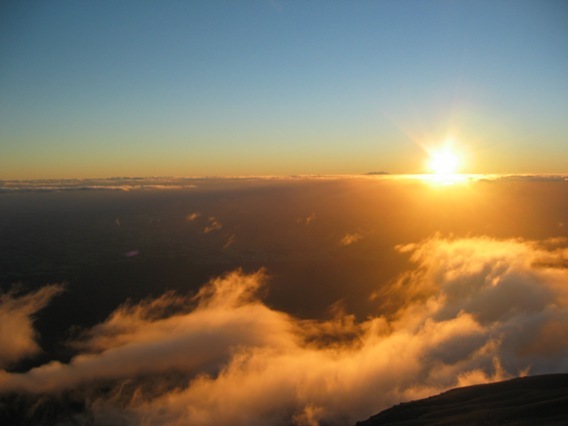 Over 60 people have died on the slopes on Mt Taranaki, so it is not a mountain to be taken lightly. 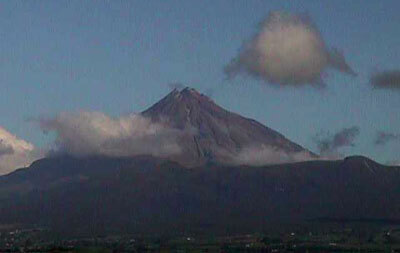 With it’s location to the west of the North Island, Taranaki’s weather often changes dramatically and quickly. A clear day in New Plymouth does not indicate a clear day on the mountain, and up to date information should always be obtained from one of the local information centres (DOC Stratford (06 765 5144), or Egmont Visitor Centre (06 756 0990). Even then, you need to have clothing suitable for alpine weather, and if you’re on the mountain outside of summer, you would need experience using an ice axe and crampons. White out conditions are also common, so navigational equipment and skills are recommended. 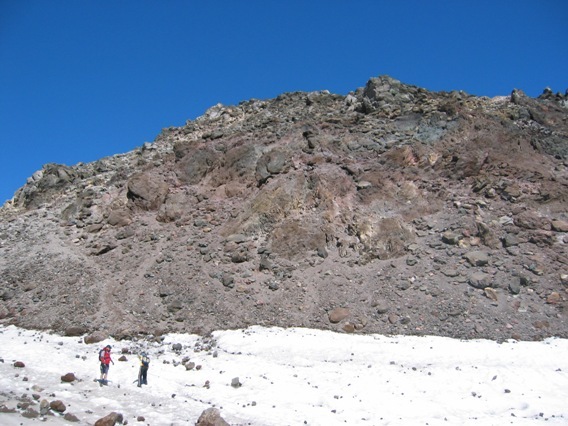 While Mt Taranaki is currently dormant (last eruption 1755), it is still a volcano, and is capable of changing it’s volcanic status in the future. You can check out GNS’s latest volcanic alert bulletins here.